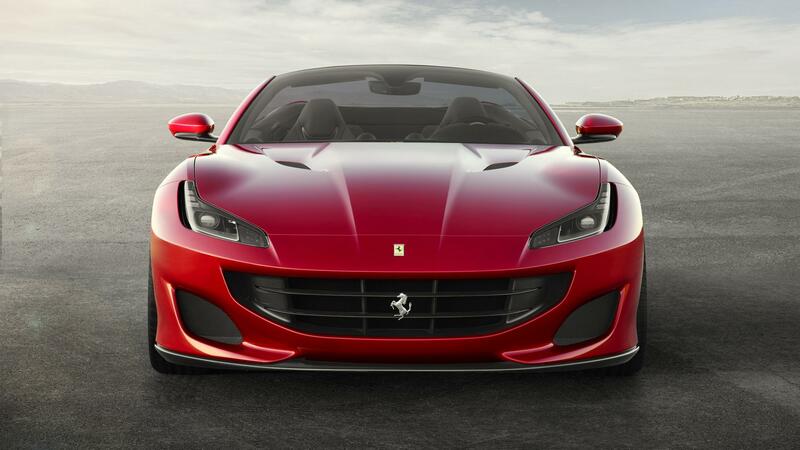 The Ferrari California – T or otherwise – never really struck a chord with the more serious driving enthusiasts. It was a bit too tame and sitting at the bottom of Ferrari’s range would always leave you somewhat handicapped in a game of supercar top trumps. Despite being their best seller (presumably because of the price point) the California was, dare I say it, never a ‘proper’ Ferrari. 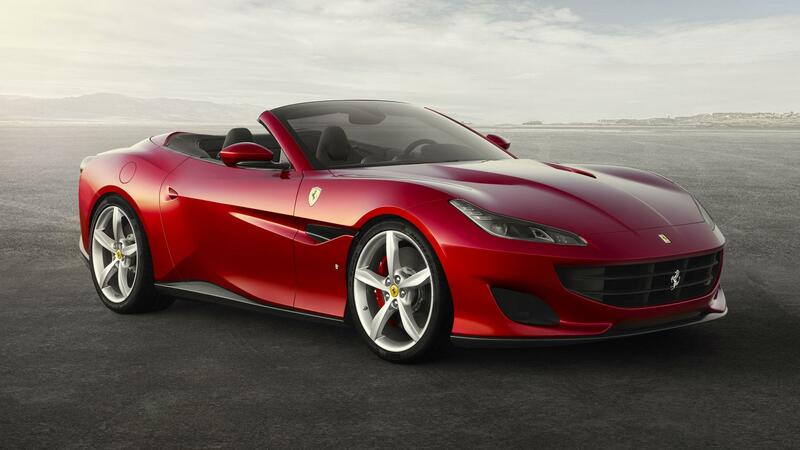 The new Ferrari Portofino however, promises to be different. First things first, the styling. It looks brilliant. It’s slightly better-proportioned than the California but also sports a more aggressive style that suits the change in ethos. An in-house design as is commonplace nowadays. 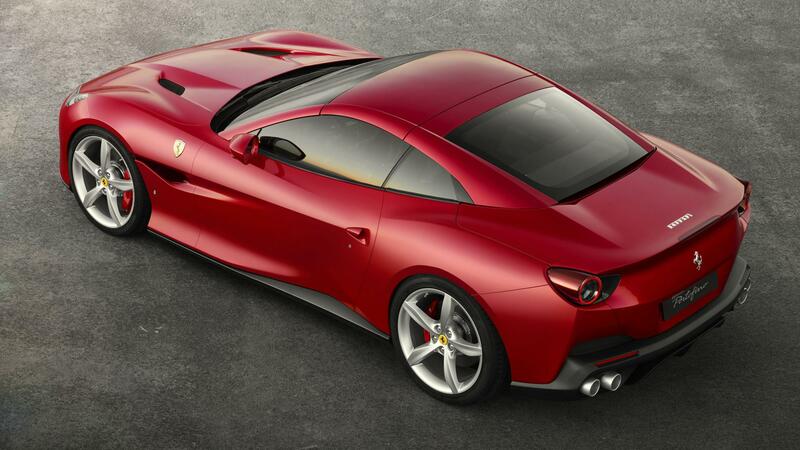 And it has to be said, Ferrari are nailing it without Pininfarina’s pencils. As per usual, the lines are more than just good looking. Maybe not to the same degree as McLaren, but they are designed to be functional too. Air is channelled precisely to maintain stability and improve on the dark art of downforce. The Portofino is powered by a twin-turbo V8 as found in the California T. However, A handful of revised internals result in a power increase to 590bhp and 560lb ft. Top speed is ‘over 199mph’ and the 0-62mph dash will take 3.5 seconds. 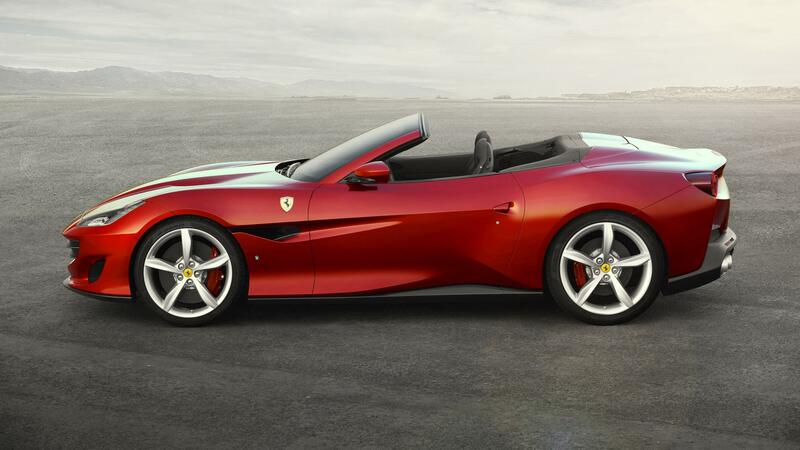 The hydraulic steering is replaced by an electric rack, but if the 812 Superfast reviews are anything to go by, this is no problem whatsoever. The rack is 7% quicker than its hydraulic predecessor with the aim of creating a better GT experience. 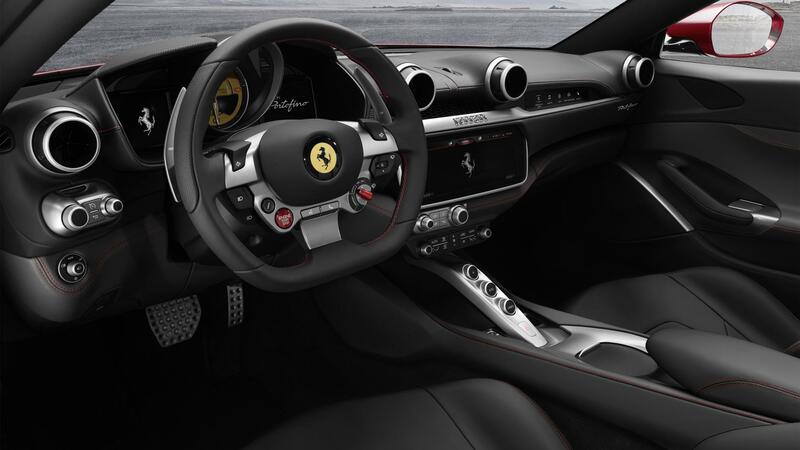 The interior should come as no surprise if you’ve seen the latest crop of cars to roll out of Maranello. A large central screen with the irritatingly off centre controls, dominates a large portion of the real estate upfront. The signature central rev counter is present as ever (it will be a very sad day when that goes) and the Portofino receives Ferrari’s latest button clad wheel. More details will be revealed when the car is fully unveiled at the Frankfurt Motorshow next month. This entry was posted in News, Supercar and tagged ferrari.